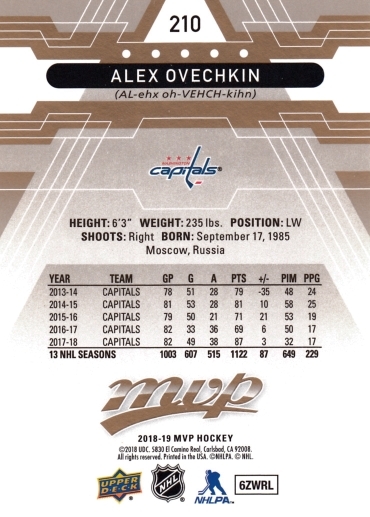 The Upper Deck MVP 2018-19 set of 250 cards is now part of the Hockey Card Cyber Museum. 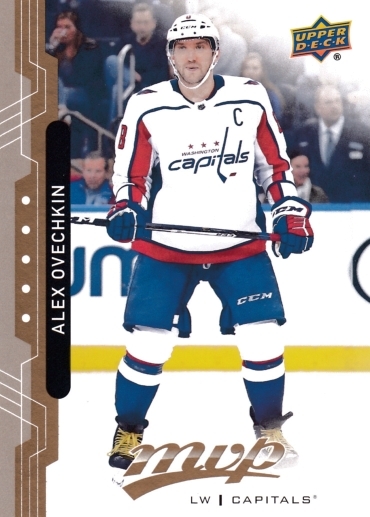 Celebrating its 20 years in the hobby, 2018-19 Upper Deck MVP Hockey kicks off the beginning of the new NHL collecting season. A moderately-priced set, Upper Deck MVP features rookies such as Warren Foegele, Joe Hicketts and Dominic Turgeon.